Our work in Guinea focuses on preventing the spread of diseases such as trachoma. In 2017 we helped to give out 2.5 million treatments to protect people against these diseases. It’s thought that more than 6.7 million people in Guinea are at risk of catching diseases such as trachoma and river blindness. Sightsavers has been working in Guinea since 1991 to to tackle neglected tropical diseases, and to treat eye conditions such as cataracts. 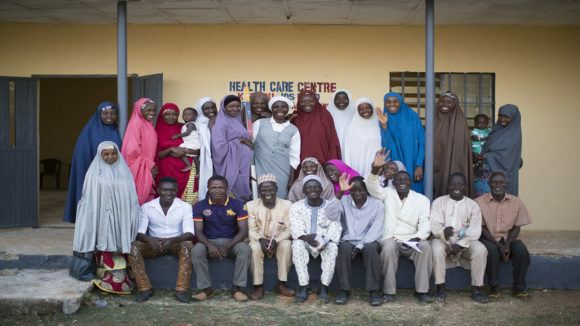 We help to train doctors, nurses and village distributors to administer medication that can prevent disease spreading and stop patients suffering further sight loss. Schistosomiasis and intestinal worms are also endemic in the country. 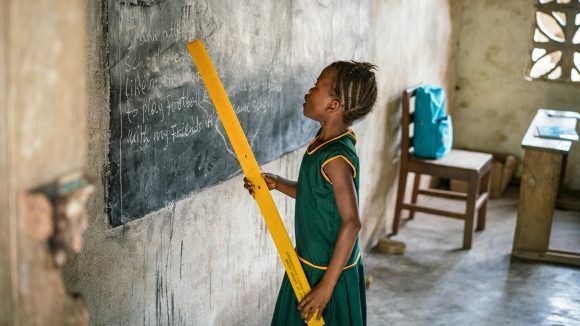 As part of a push to eliminate the diseases, we distribute de-worming medication to schoolchildren that are at risk, support education programmes, and train teachers and volunteers to identify the diseases. 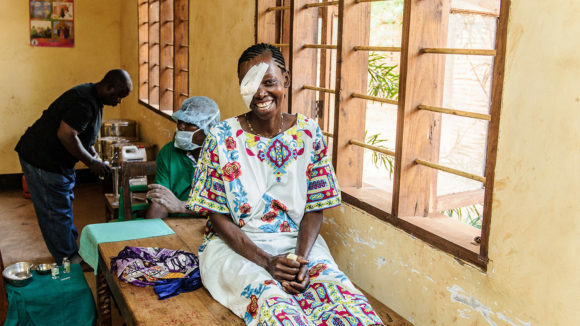 Sightsavers is working to improve Guinea’s healthcare system by training ophthalmologists and bringing in health workers from other West African countries, such as Togo, Niger, Mali and Benin. 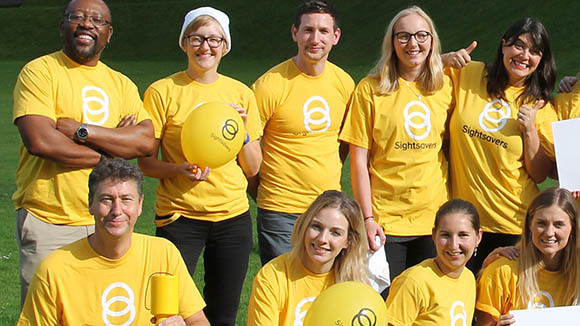 We also provide surgical equipment and support cataract operations. Mamadou wears maroon robe with a white cap and his daughter Rougiatou Bah wears a leopard print headscarf. Mamadou is holding his daughter in his arms. 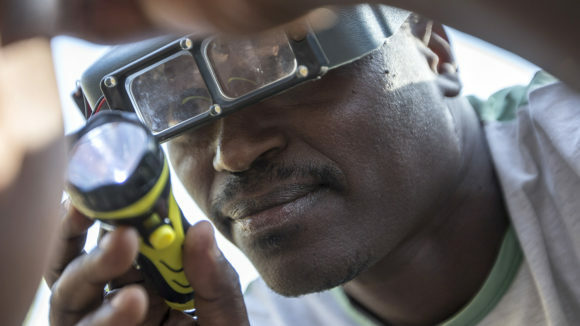 Mamadou’s eyesight started to deteriorate when he caught river blindness, but a straightforward dose of medication saved him from losing his sight. He made sure his wife and children were treated too, to prevent them from catching the disease.